Virtually unbreakable Thermoplastic. Easy to snap-on. Easy to clean & maintain attractive appearance. UL Listed. 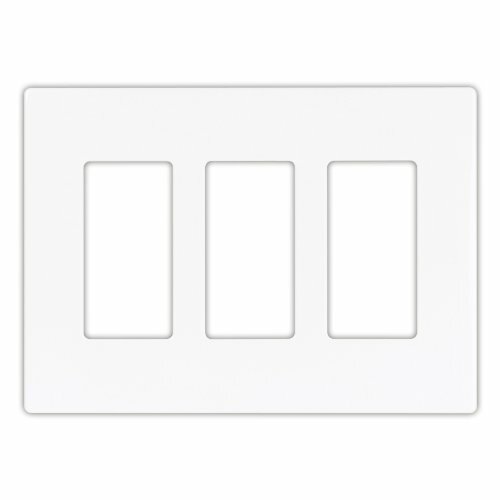 The Eaton PJS262W is a 2-gang, mid-sized wall plate. It's made of a durable polycarbonate that is virtually unbreakable and resists abrasion and impact damage. The Eaton wall plate comes in a white, high-gloss finish that is soil resistant. It provides an easy installation that obscures screws through a proprietary Screw-Catch design. The Eaton PJS266W XCDISCOUNT SCREWLESS WALL PLATES ARE DESIGNED FOR EASY AND FAST INSTALLATION - SIMPLY SCREW THE MOUNTING PLATE ONTO THE WIRING DEVICE AND PRESS THE WALL PLATE INTO PLACE. VIRTUALLY UNBREAKABLE POLYCARBONATE CONSTRUCTION. MID-SIZED TO COVER WALL IMPERFECTIONS AND LARGE WALLBOARD OPENINGS. NO VISIBLE SCREWS. EASY TO CLEAN. SCREWLESS WALL PLATES CLIP EASILY INTO PLACE WITH GENTLE PRESSURE. CLEARLY MARKED TOP EDGES MAKE MOUNTING WALL PLATES EASY TO INSTALL. 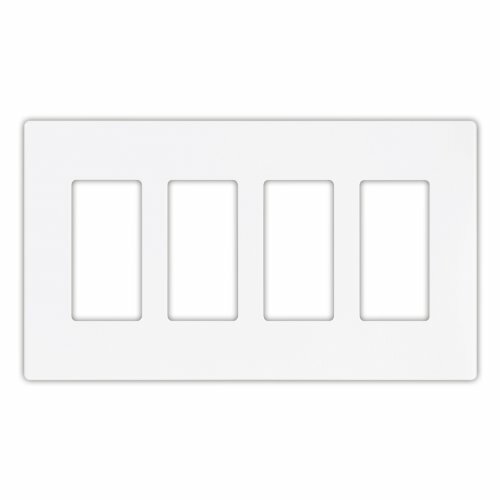 The Eaton PJS263W is a 3-gang, mid sized wall plate. It's made of a durable polycarbonate that is virtually unbreakable and resists abrasion and impact damage. 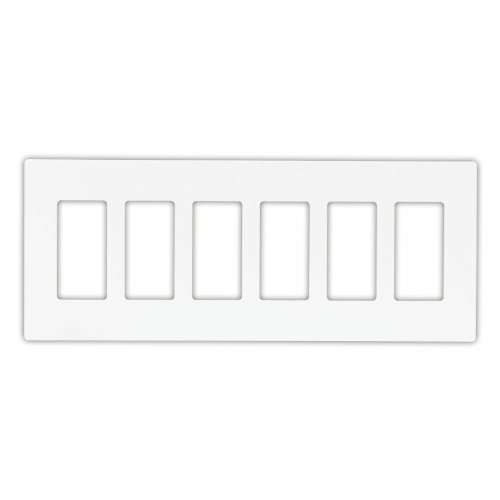 The Eaton wall plate comes in a white, highgloss finish that is soil resistant. It provides an easy installation that obscures screws through a proprietary ScrewCatch design. The Eaton PJS264W is a 4gang, midsized wall plate. It's made of a durable polycarbonate that is virtually unbreakable and resists abrasion and impact damage. 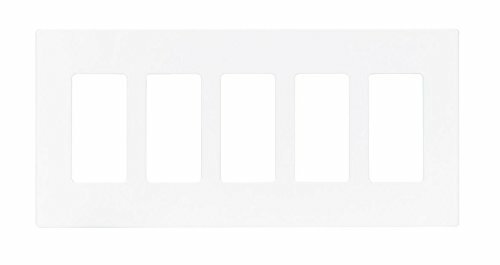 The Eaton wall plate comes in a white, highgloss finish that is soil resistant. It provides an easy installation that obscures screws through a proprietary ScrewCatch design. The Eaton 9523WS 3-Gang ASPIRE Mid-sized Screwless Wall Plate is designed to seamlessly infuse itself into the decor of your home. The Eaton 9523WS 3-Gang ASPIRE Mid-sized Screwless Wall Plate is sleek, smooth, and seamless and adds beauty by being almost unnoticeable. The Eaton 9523WS 3-Gang ASPIRE Mid-sized Screwless Wall Plate is designed to perfectly compliment the style of the Eaton ASPIRE Series products. 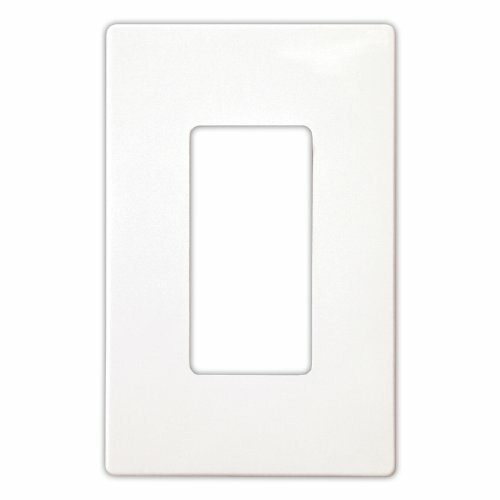 The Eaton 9523WS 3-Gang ASPIRE Mid-sized Screwless Wall Plate is a mid-sized wall plate is slightly larger than a standard sized Decorator wall plate giving a greater appearance as well as hiding irregular wall cutouts. 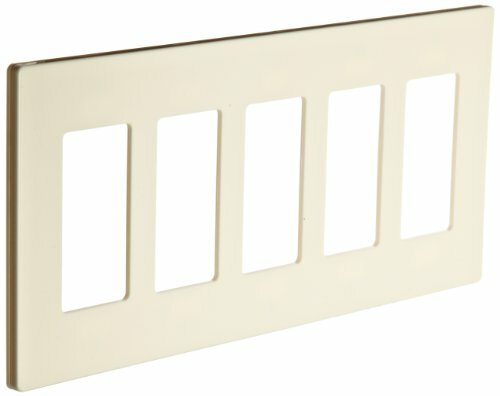 The screwless look adds a high-end feel to your walls by hiding the normally visible mounting screws with a coverplate. 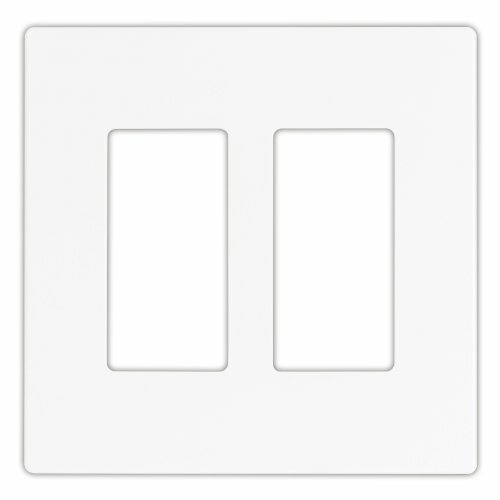 The Eaton PJS265W XCDISCOUNT SCREWLESS WALL PLATES ARE DESIGNED FOR EASY AND FAST INSTALLATION - SIMPLY SCREW THE MOUNTING PLATE ONTO THE WIRING DEVICE AND PRESS THE WALL PLATE INTO PLACE. VIRTUALLY UNBREAKABLE POLYCARBONATE CONSTRUCTION. MID-SIZED TO COVER WALL IMPERFECTIONS AND LARGE WALLBOARD OPENINGS. NO VISIBLE SCREWS. EASY TO CLEAN. SCREWLESS WALL PLATES CLIP EASILY INTO PLACE WITH GENTLE PRESSURE. 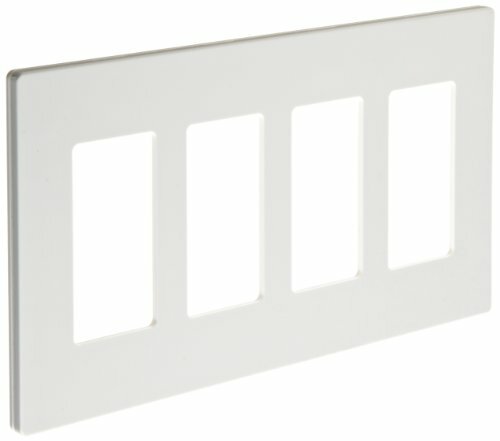 CLEARLY MARKED TOP EDGES MAKE MOUNTING WALL PLATES EASY TO INSTALL. Looking for more Gang Decorator Screwless Snap similar ideas? Try to explore these searches: Padded Spaghetti, Scale Red Caboose, and Paintable Border. Look at latest related video about Gang Decorator Screwless Snap. Shopwizion.com is the smartest way for online shopping: compare prices of leading online shops for best deals around the web. Don't miss TOP Gang Decorator Screwless Snap deals, updated daily.